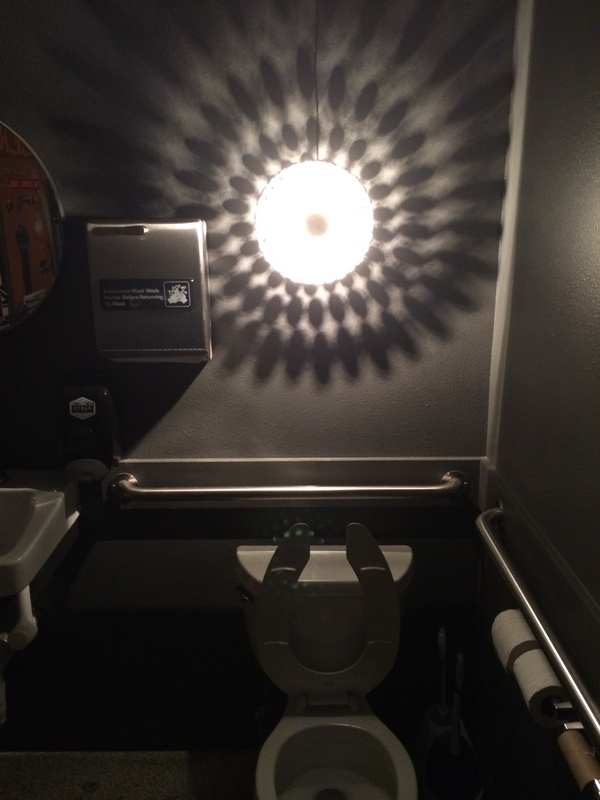 August | 2014 | Shits and Giggles: A Seattle bathroom tour! 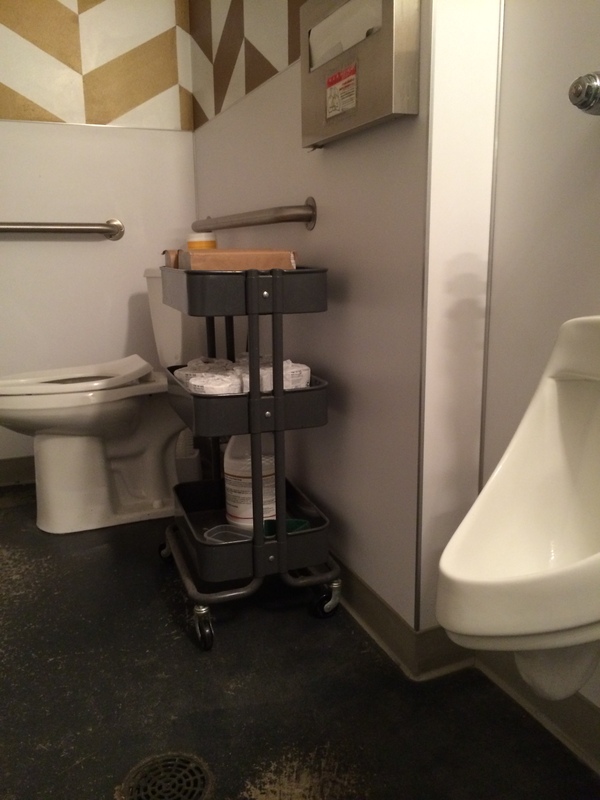 Stoup: There it is! This brewery was named cleverly with the owners loving both soup and stew. Voila! 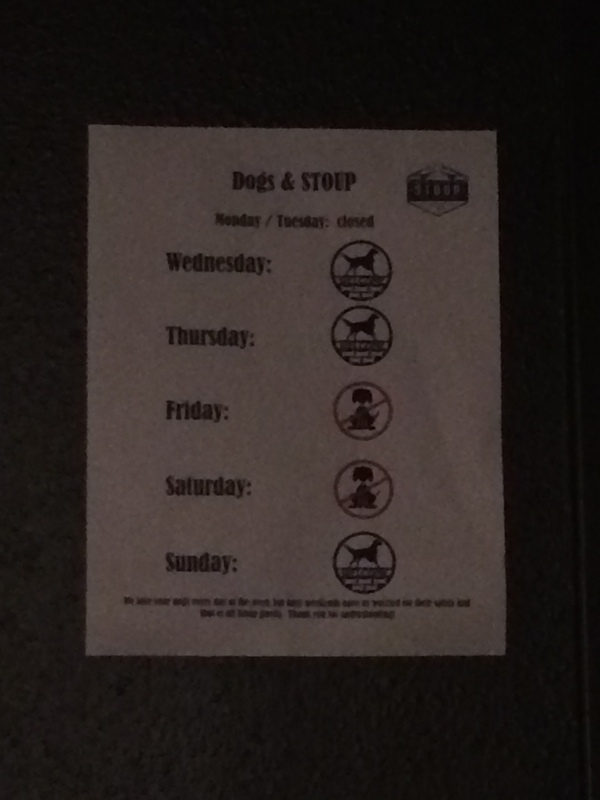 We made another stop along the Ballard Brewery circuit! 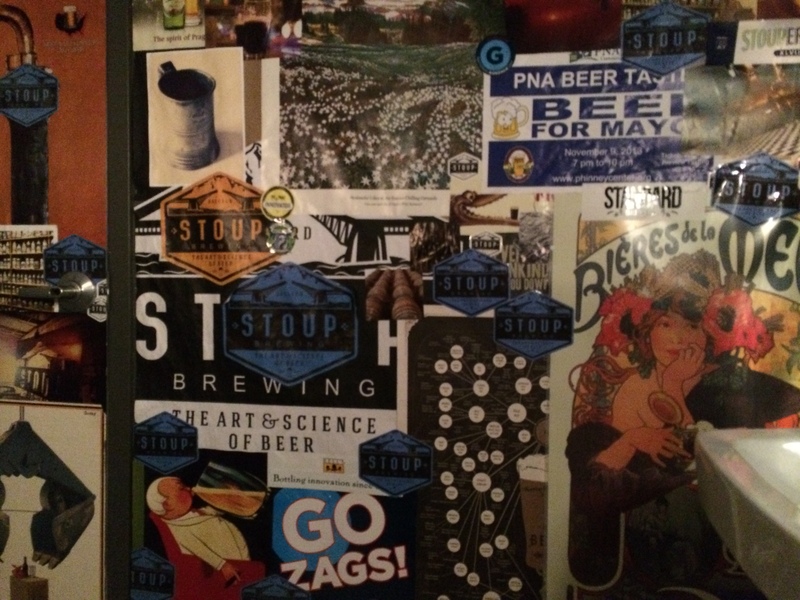 Stoup puts out some of the best beers, and is only fitting that their restroom is classy too. 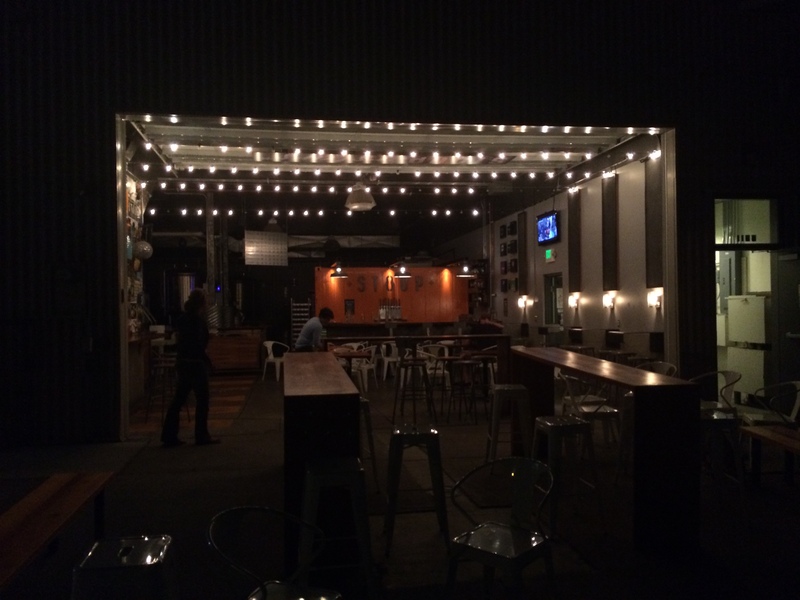 Their brewery fits into one of the side streets of industrial Ballard, and has a very open brewery concept. The tanks are there for your eye gazing, and the staff are helpful in getting you the beer you want! 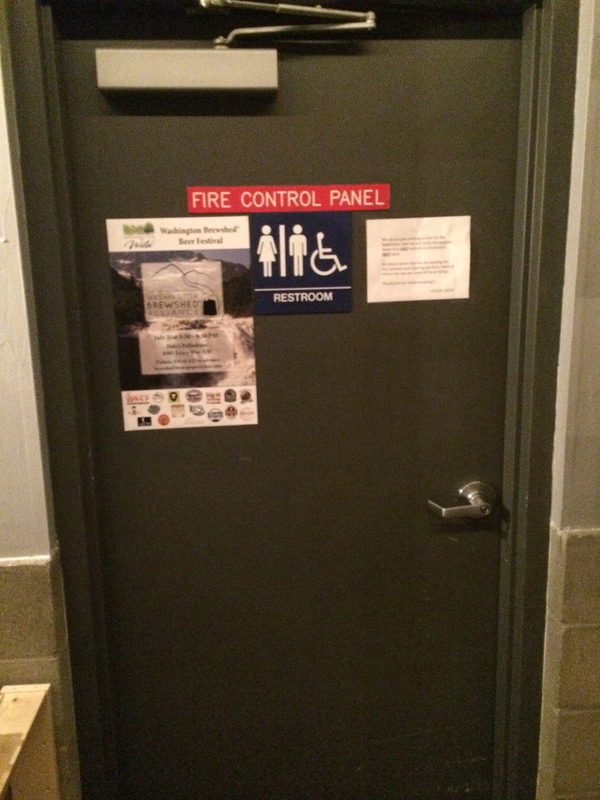 The outside of the bathroom hides the beauty inside this industrial looking door. 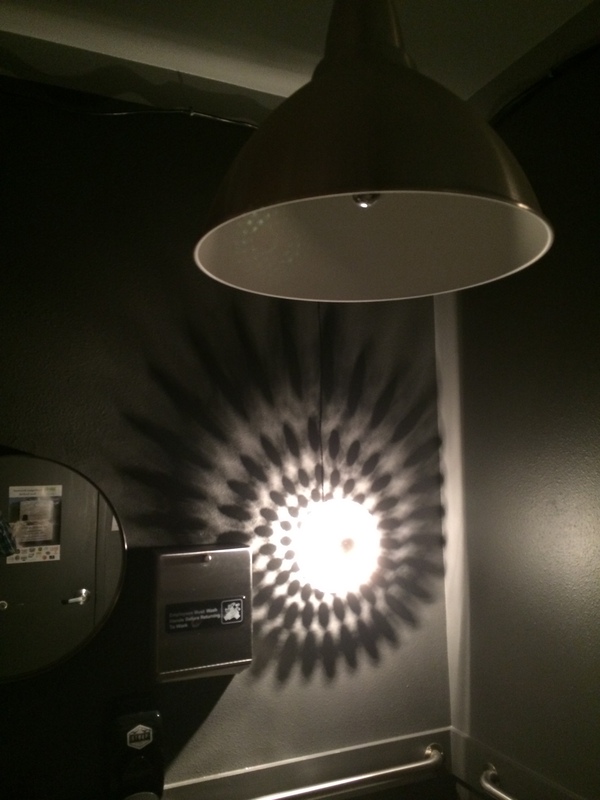 The bathrooms are dominated with a 1960’s star which adds some great class! 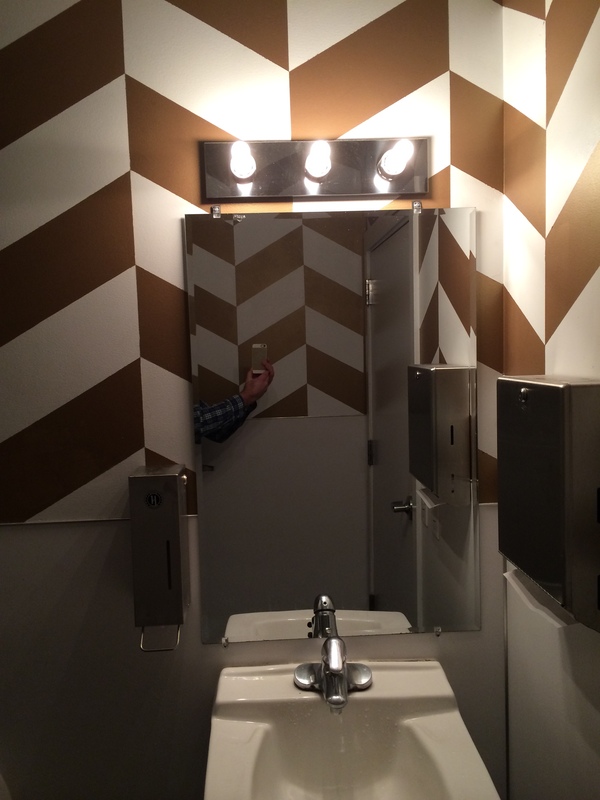 Bonus points for the great lighting! Concert posters and punk stickers fill one wall, while the others are neat and classic modern. 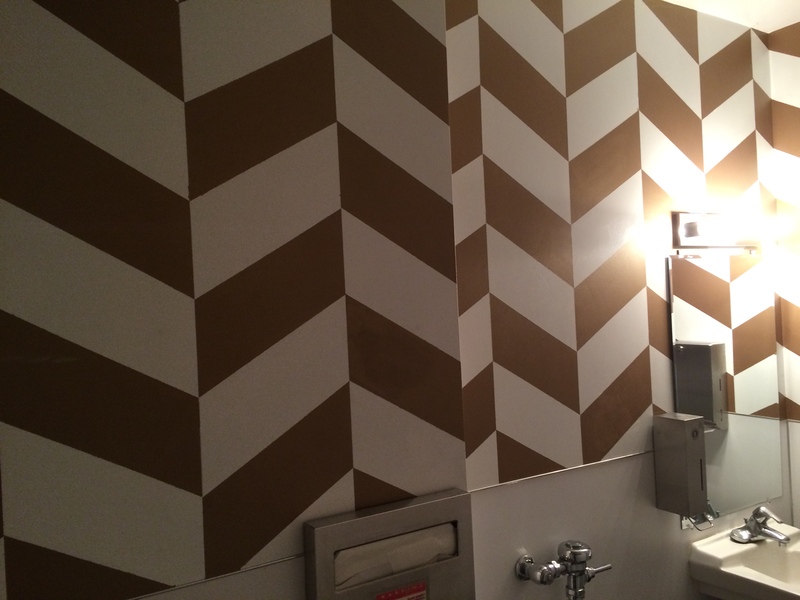 Hilliards Brewery: Chevron Madness Never Looked Better! Bike tours to Ballard’s breweries are a new Seattle ritual. Handover your Seattle passport if you haven’t done at least one by now! 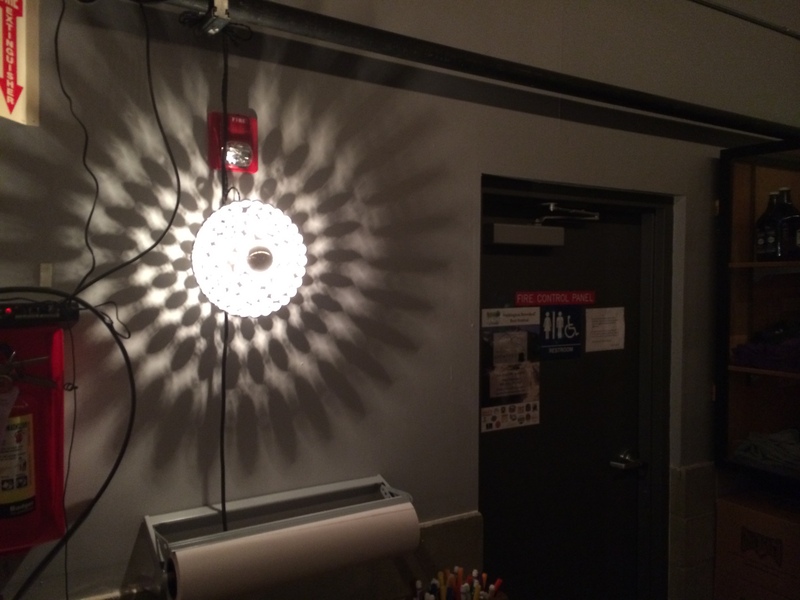 One of the best interiors of any of them is found at Hilliard’s Brewery. 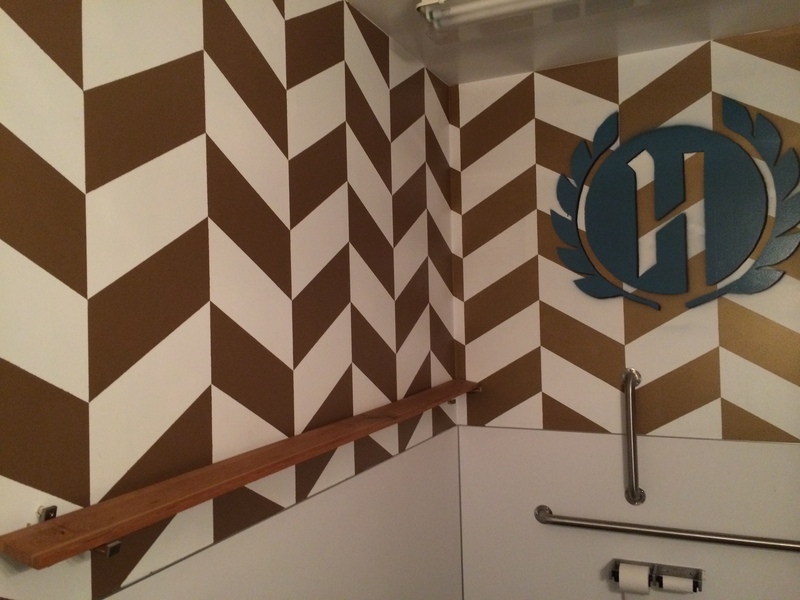 They even went all the way with great bathrooms, which has made us very happy at Shits and Giggles! 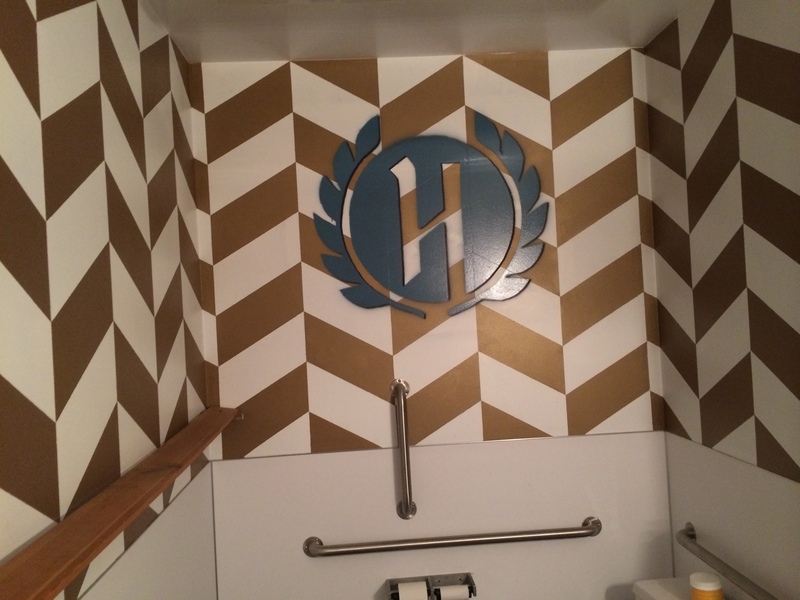 Hilliard’s focussed the bathroom on their chevron branding and used classic bathroom sinks, toilets and fixtures. 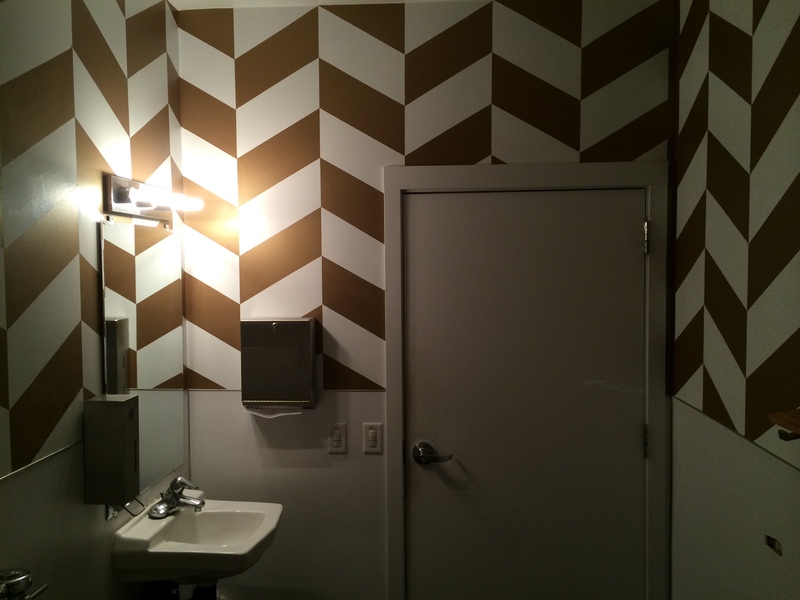 The gold chevron does feel a bit Escher-esque after too many beers, but luckily for you, this is usually one of the last stops on your bike tour in Ballard. 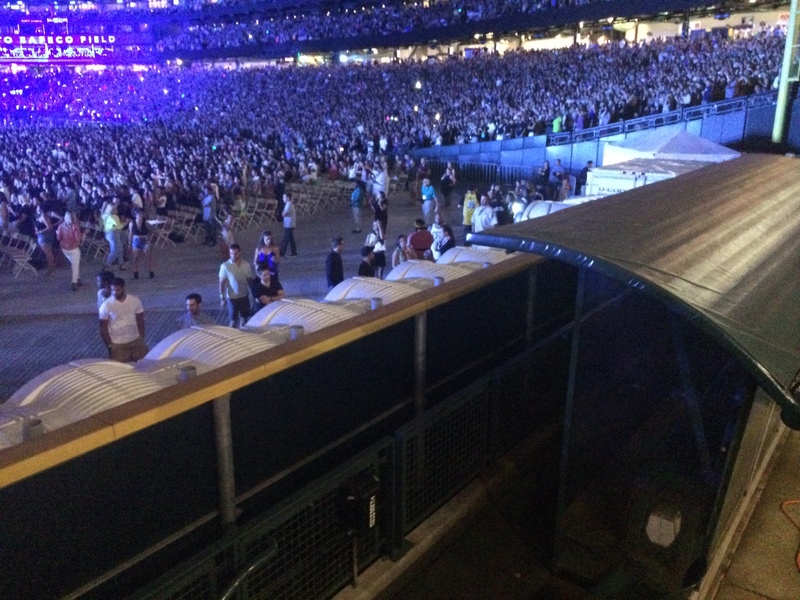 Safeco Field: Porta-Potties on the Field For Jay Z & Beyonce! 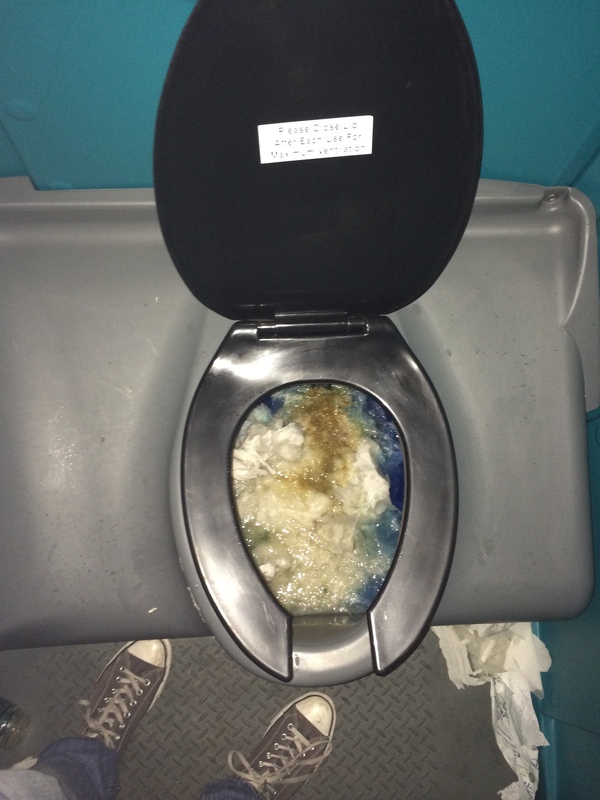 Warning: There is a tasteless photo at the very end of this entry of the porta-potty insides. It will disgust. We warned you. 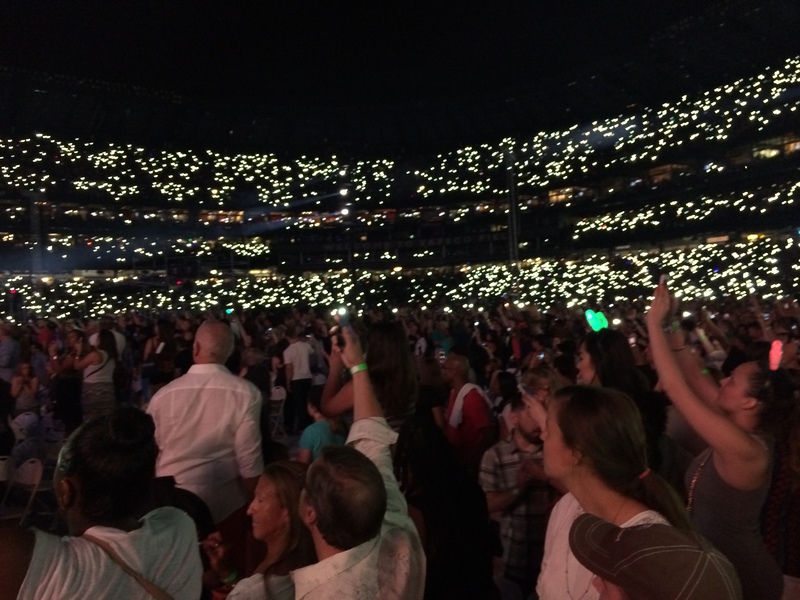 We had field tickets for the second concert at Safeco Field on July 30th concert. To my surprise, they had bathrooms on the field in front of the outfield wall right in front of the bullpen. 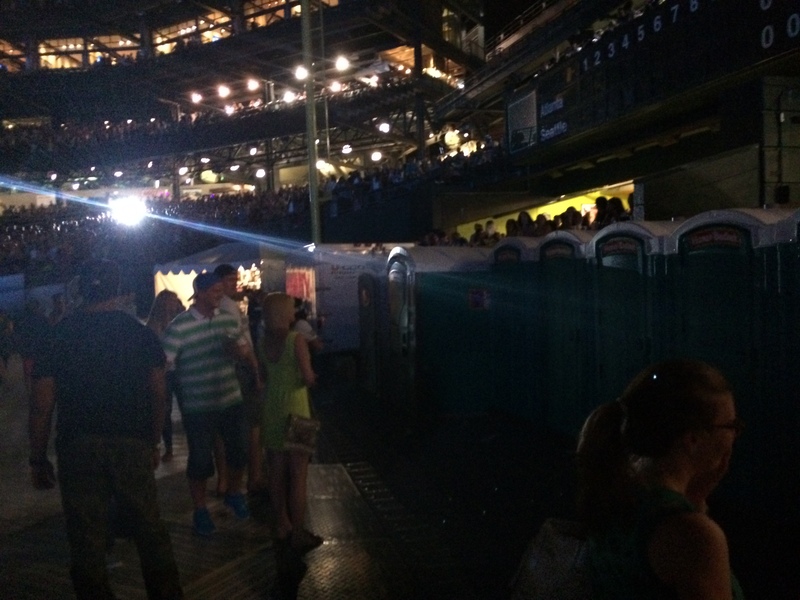 I had to join in on this special experience of urinating while on Safeco Field. I will look upon the Mariners ground in new light. 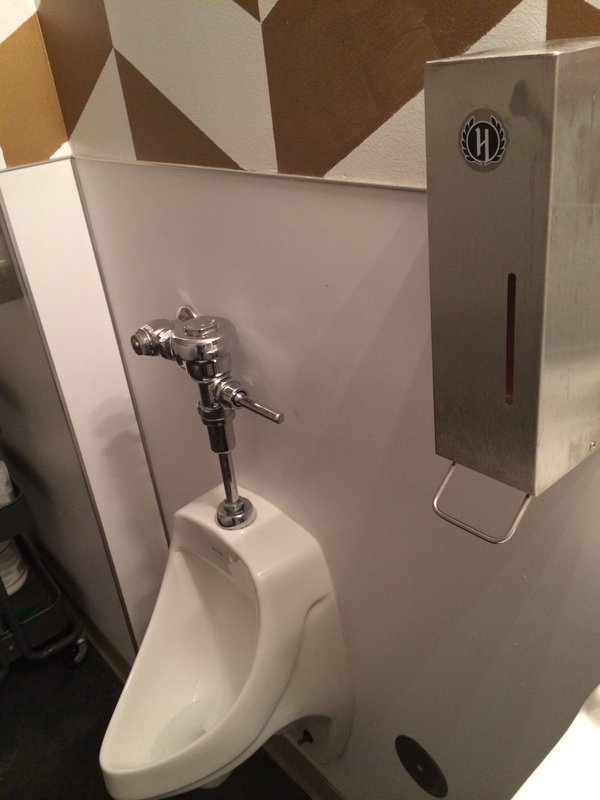 Not only have I thrown out the first pitch at Safeco, I can now say, I peed on the field too! 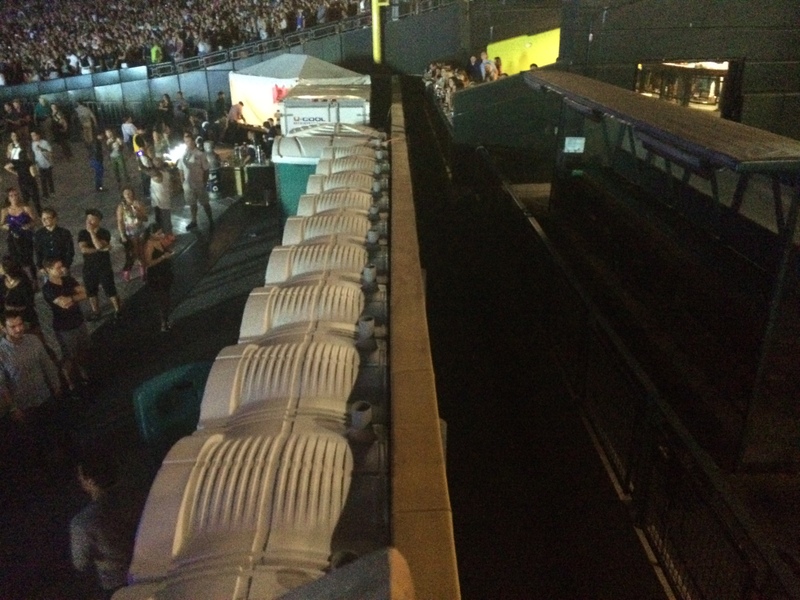 The Porta-potties were lined up right against the outfield wall. 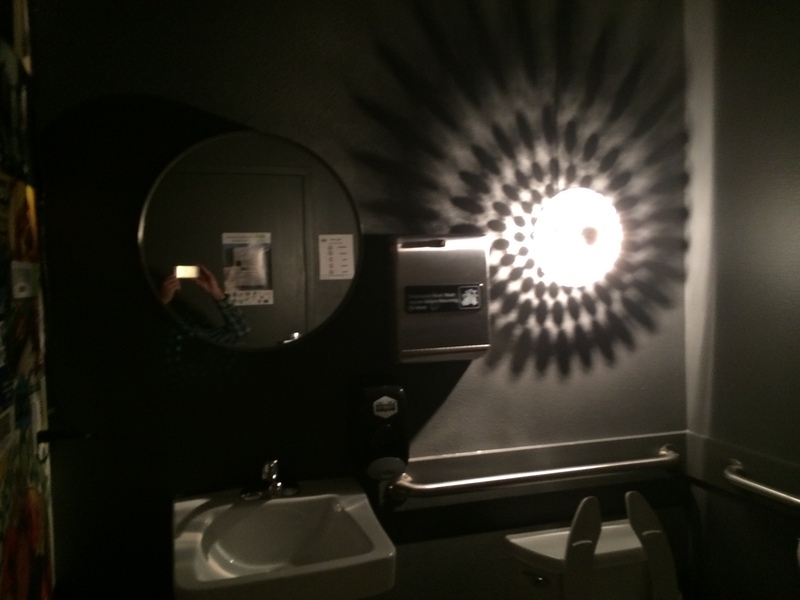 One could still hear the jams from the insides of the bathrooms. Thank you promoters! 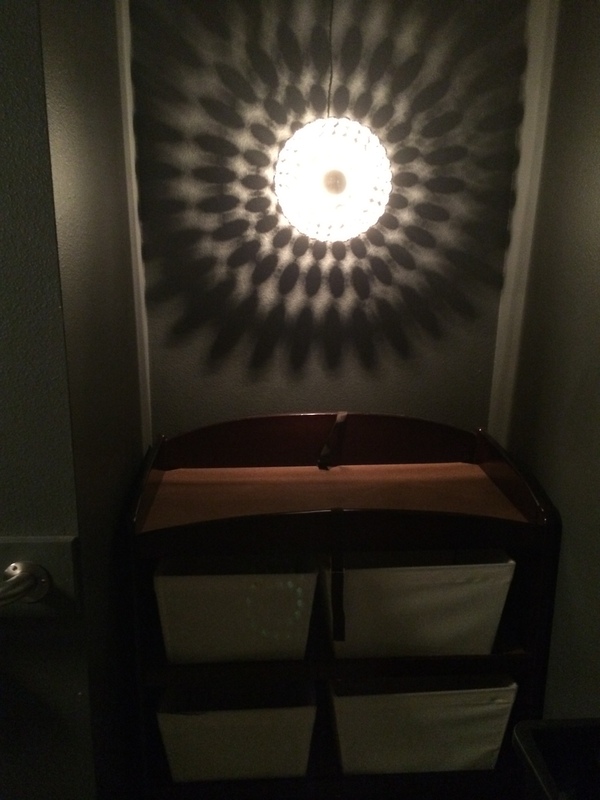 Here is a shot from the inside of the bathroom. 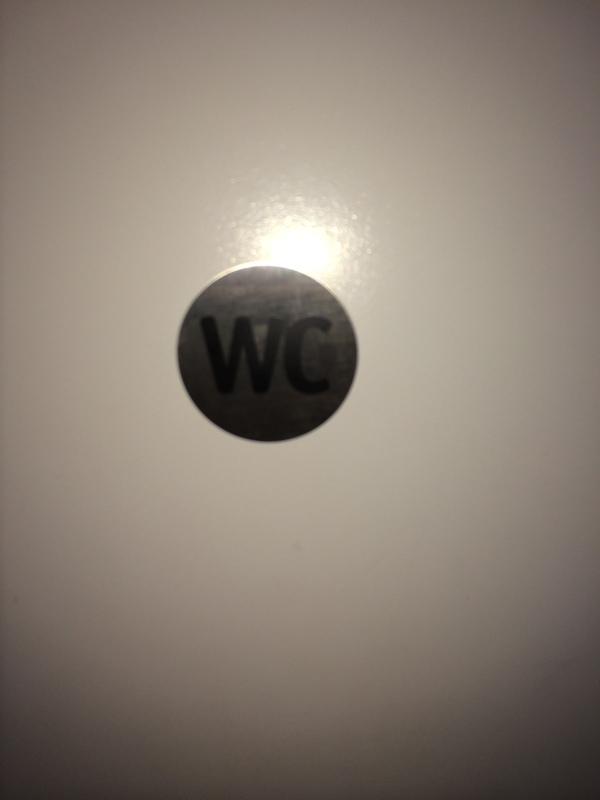 The bathrooms were clean and well kept. 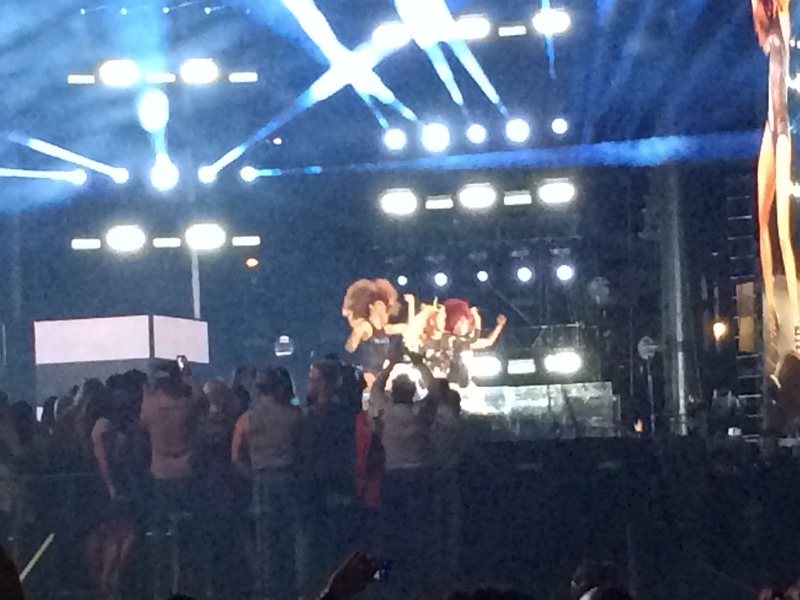 Kept the funk on the outside! 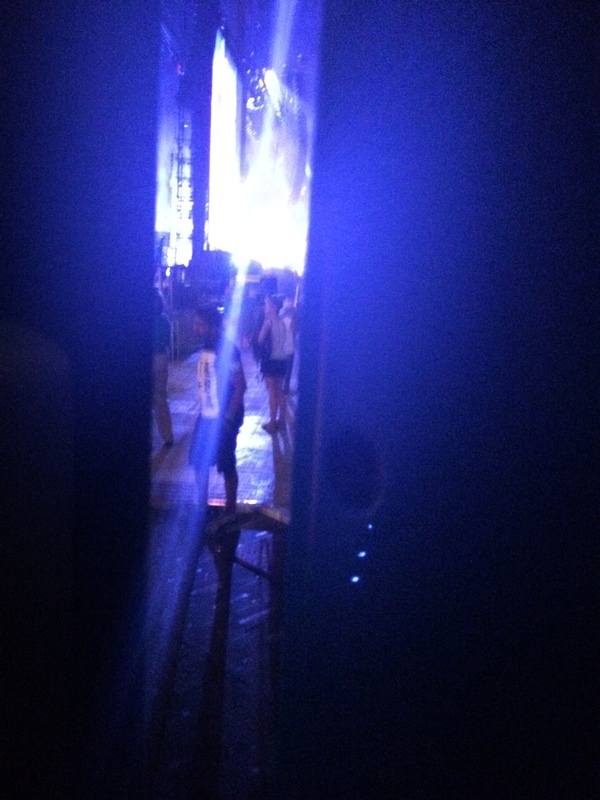 However, here is your gnarly photo of what goes down at the Porta-Potty. 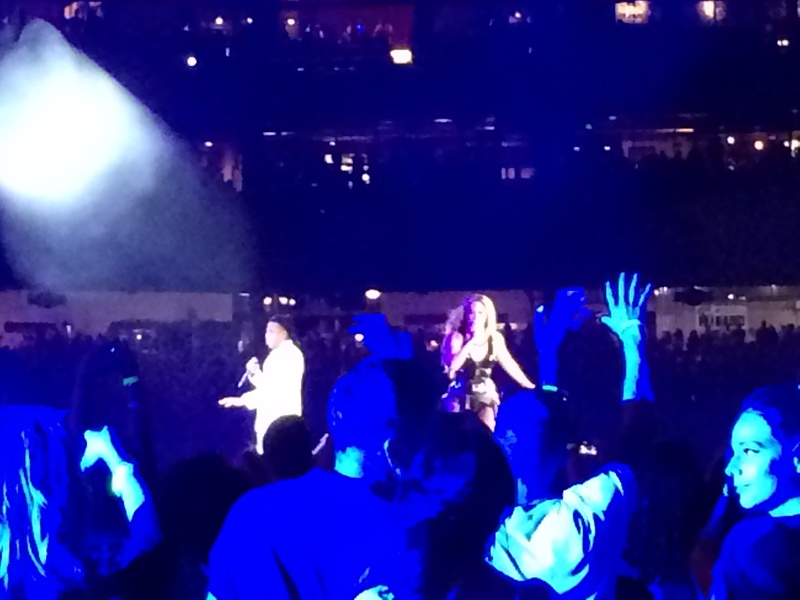 Looks like some people took deuces to the sweet sounds of Jay Z and Beyonce!